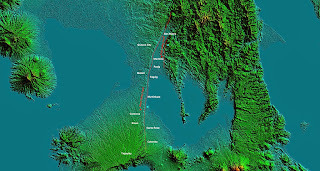 Probably because of the two major earthquakes which hit the Himalayan kingdom of Nepal within a mere two weeks of each other recently, the Marikina West Valley Fault System is once again in the news. The last two nights, in particular, the main talking point was the graphic of the fault released by PHIVOLCS. Citizens living on or close to the fault were being encouraged to take whatever precautions they could. That is well and good. On the other hand, there is every chance that those living outside the fault’s 50-metre immediate danger zone may be lulled into a false sense of security. The truth is, if in fact the fault moves and generates as expected at the very least a magnitude 7.2 earthquake, damage will be massive and not just to the people and infrastructures along the fault line. In fact, the epicentre of the 1990 magnitude 7.8 Luzon earthquake was near the town of Rizal in Nueva Ecija. Yet, some of the most extensive damage to life and property was experienced by the City of Baguio 98 kilometres away as the crow flies. I personally remember that earthquake vividly as if it happened just yesterday; and I was in Lipa City 200 kilometres away from the epicentre when it hit. I cannot find any documentation about the quake’s intensity here, but I estimate it to have been at the very least 5.5. I rushed outdoors the moment I realised there was a quake and saw the ground undulating as though it was water instead. I still count the experience as among the most hair-raising in my life, even if damage here if at all was minimal. Back to the West Valley Fault, just to temper down fears about it being ‘ripe for movement,’ PHIVOLCS itself cannot say often enough that it does not really know when the fault actually will move. Present technology just does not have the ability to predict exactly when an earthquake will occur. In fact, as with California’s San Andreas fault, those of my generation have been hearing of the ‘big one’ along the West Valley fault for decades. Of course, every passing day takes us closer to when the fault will actually move. It is said that the fault moves every 2-4 centuries. Its last movement was two centuries ago. If you wish to stay on the positive side, you can say that we still have an allowance of another two centuries. On the other hand, we also live each day knowing that the fault can move any time. When it does, it will not be hard to figure how extensive the damage will be. All we need to do is to refer back to the 2013 magnitude 7.2 earthquake in Bohol and remember that the communities along the West Valley Fault are more densely populated. 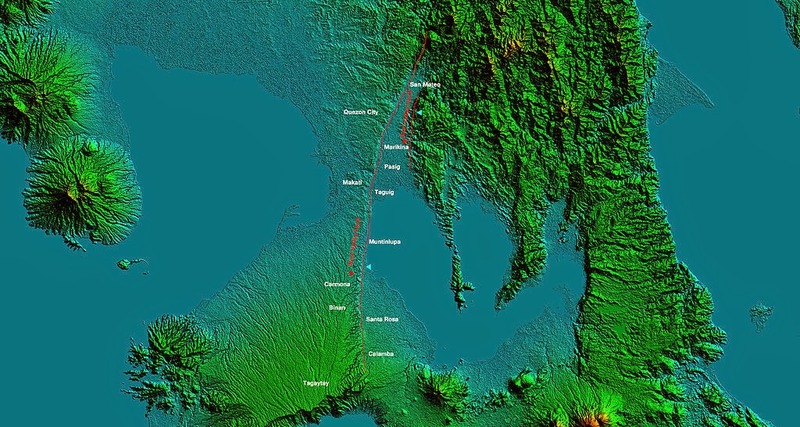 What is the Marikina Valley Fault Sytem? What is the West Valley Fault System? What is the difference between magnitude and intensity in relation to earthquakes?